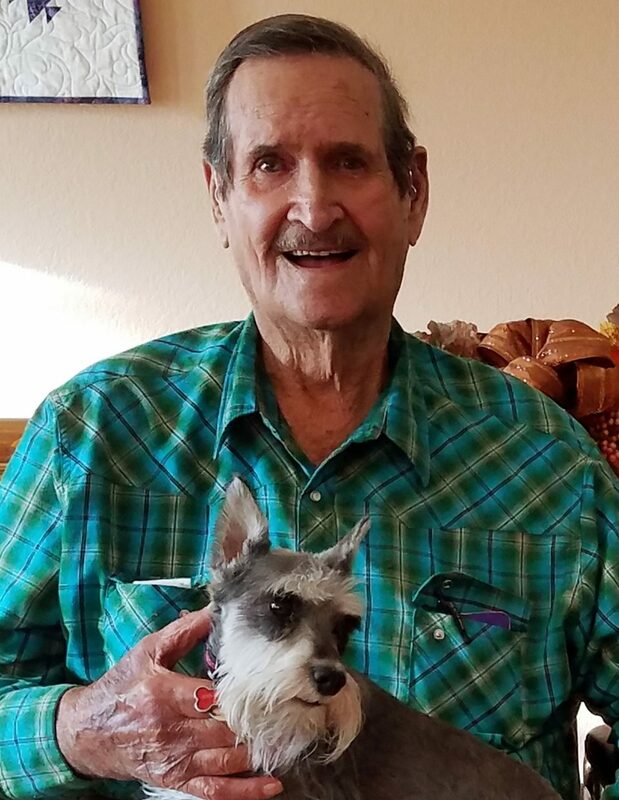 Eaton, Colo., previously of Johnstown, Colo.
Bennett Lee Spaur, 89, of Eaton, previously of Johnstown, passed away at North Colorado Medical Center on Dec. 2, 2017. Bennett "Ben" was born in Windsor, Colo., on Nov. 24, 1928, to Bennett Lee Spaur, Sr. and Marie Rose (Binder) Spaur. He was the oldest of four boys. Ben attended Erkenbeck School through eighth grade, after which he went to and graduated from Johnstown High School in 1946. He grew up on the family farm and started his career after school in construction for several years. Afterwards he worked for Great Western Sugar Co. for about four years before becoming a professional painter moving to California for three years. Upon his return to Milliken, Colo., farming became his passion which he passed onto all of his children and retired from after 45 years. He also served several years on the rural Johnstown Fire Department Board. He was active in the First Baptist Church in Johnstown and Greeley Baptist Temple where he also was a deacon for many years. He loved woodworking, fishing and spending time with his kids and grandchildren. Ben is survived by his wife, Marilyn Sue (Anderson) Spaur; brother, Gilbert (Caron) Spaur; sister-in-law, Ruby Spaur; his children, Linda (Walt) Hardesty of Otis, Colo., Marvin (Diane) Spaur of St. Charles, Mo., Brian (Carrie) Spaur of Gillette, Wyo., Greg (Anna) Spaur of Eaton and Marieny Brenckle of Evans, Colo.; 21 grandchildren and 15 great-grandchildren. He is preceded in death by his parents, Ben and Marie Spaur; brothers, Byron (Bud) and Glen (Pete) Spaur. Visitation was held Dec. 8, 2017 at Greeley Baptist Temple in Greeley. A Celebration of Life service immediately followed. Interment followed at Elwell Cemetery in Johnstown. In lieu of flowers, donations can be made to Greeley Baptist Temple, 1400 9th St., Greeley, CO or Mountain States Children Home, PO Box 1097, Longmont, CO, or in care of Allnutt Funeral Service, 702 13th St., Greeley, CO 80631. Please visit Ben's memorial website through http://www.allnutt.com to give condolences to the family and share your memories.